“Cash Injection”… a Peter Breen masterpiece. Some regard Peter Breen as “the Ditchburn Doctor,” while others might conclude that he is an artist with wood – or perhaps a mechanical Einstein. Cash Injection makes a very strong case that he is all three of the above. 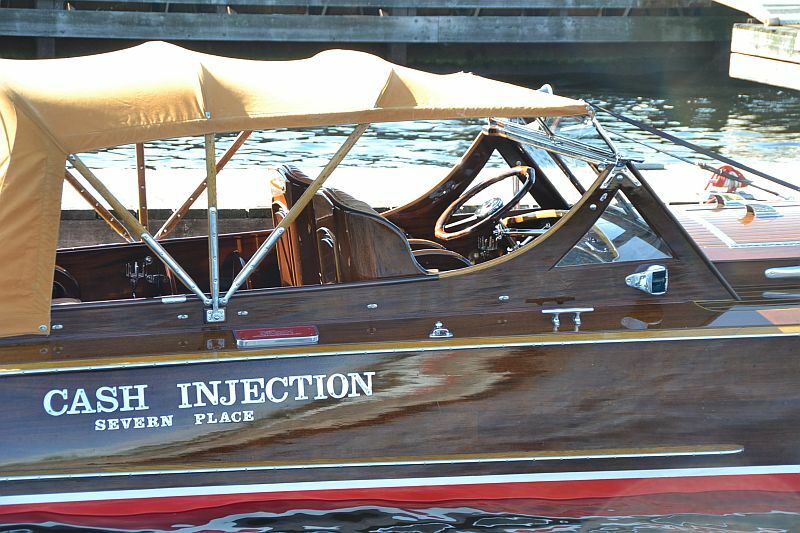 Mr. Breen, who built and owns Cash Injection, is considered by many to be the finest boat builder in North America, if not the world. 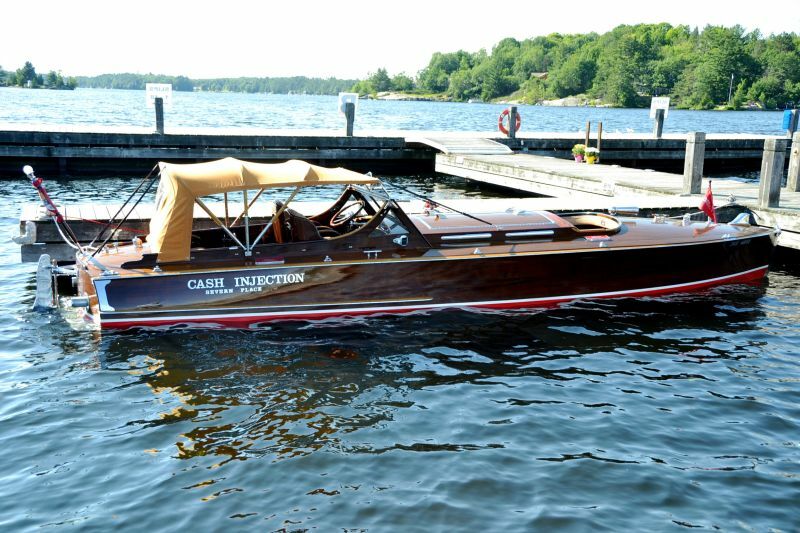 His vast experience in the restoration of Ditchburn boats has directly influenced the production of Cash Injection. Peter started building this twenty-eight foot boat in 1997 and finished it in 2003 when he took the boat to Florida twice, taking three awards. Cash Injection showcased his craftsmanship as well as the Hacker hull design. 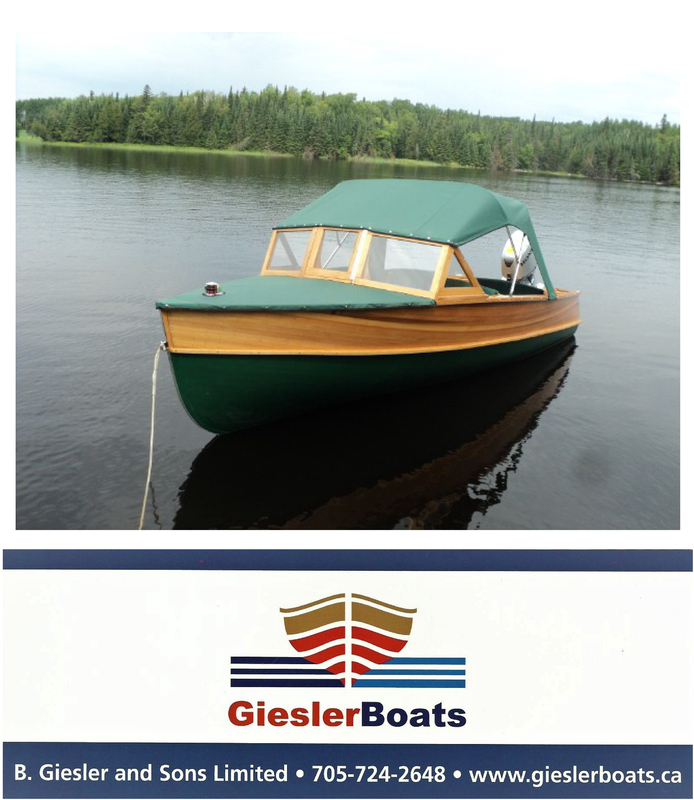 Peter’s production methods also replicated the process by which Ditchburn boats would individually customize a boat to an owner’s specifications. With a 500 hp. engine, Cash Injection is a very powerful boat. The John Hacker inspired hull design handles with ease and precision in turns and when wide open. The roar of the engine growls from the custom-cast exhaust ports. All the hardware on the boat is sand-cast with bronze, then polished and chromed in the same manner that the Ditchburn brothers employed. 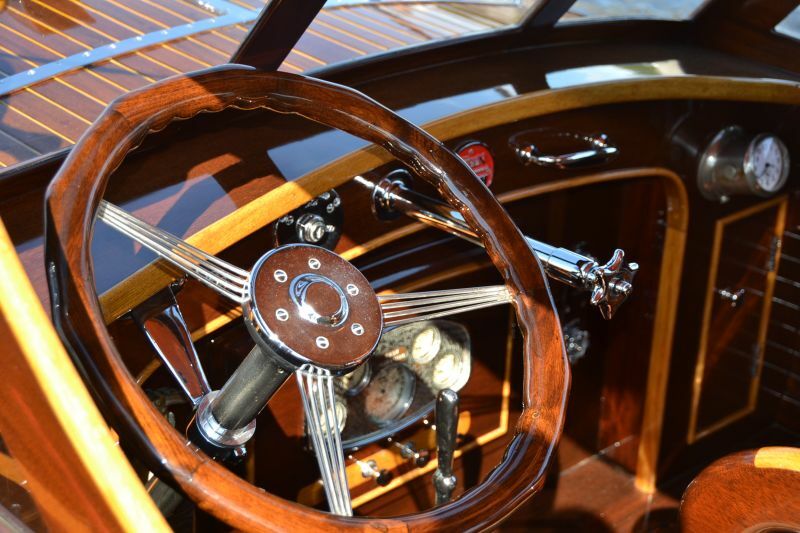 From the bow lights to the chocks, the cleats to the horn and the folding windshield to the five gauge grape leaf dash cluster… the steering wheel, throttle, steering controls and outboard rudder; it is all hand cast from wood molds. The molds are placed in sand casts, then liquid bronze/brass is poured into the molds which are cooled and sanded, then polished and readied for chroming. There are no easy short cuts in this process and it is done beautifully. Every detail of Cash Injection is meticulously reviewed and executed with precision, in keeping with the Ditchburn boats of the 1930s. Hundreds of hours of painstaking detail work are apparent, from the varnished, mirror-like finish on both the exterior and the interior hull, to the bilge and the engine compartment. Even areas not open to inspection offer the same level of commitment to perfection. Mr. Breen has shown Cash Injection at a number of events and has won many awards including Clayton NY, Gravenhurst ACBS shows, and MountDora, Florida, where she won the ” Master Craftsmanship Award”. Although Cash Injection has seating similar to a triple cockpit, a sunshade cover and a mother in-laws seat, she runs like a missile. She is also very much a race boat. The Ditchburn brothers would be very pleased to see both the work and the client-first focus of Peter Breen and his team. 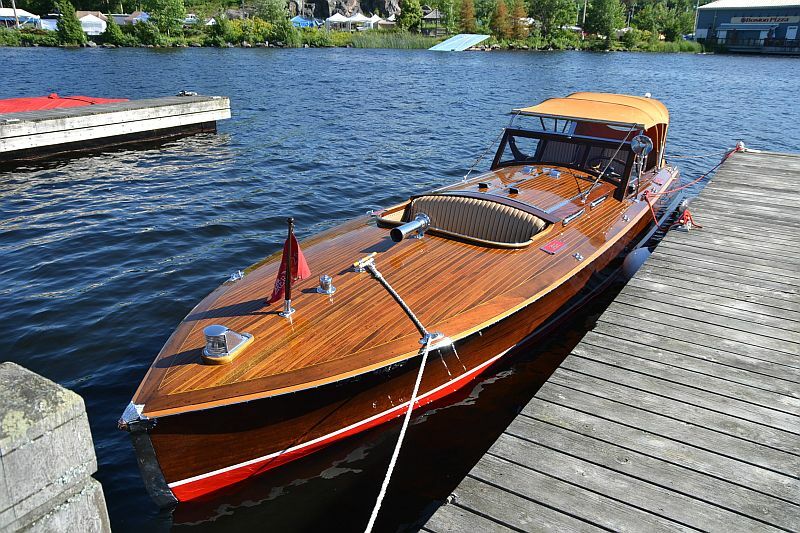 It should be noted that Peter Breen’s restoration work encompasses all of the original boat builders in Muskoka, including Minett Shields, Greavette, Garwood, JJ Taylor, Clive Brown, Duke, Sea Bird and numerous famous US builders.